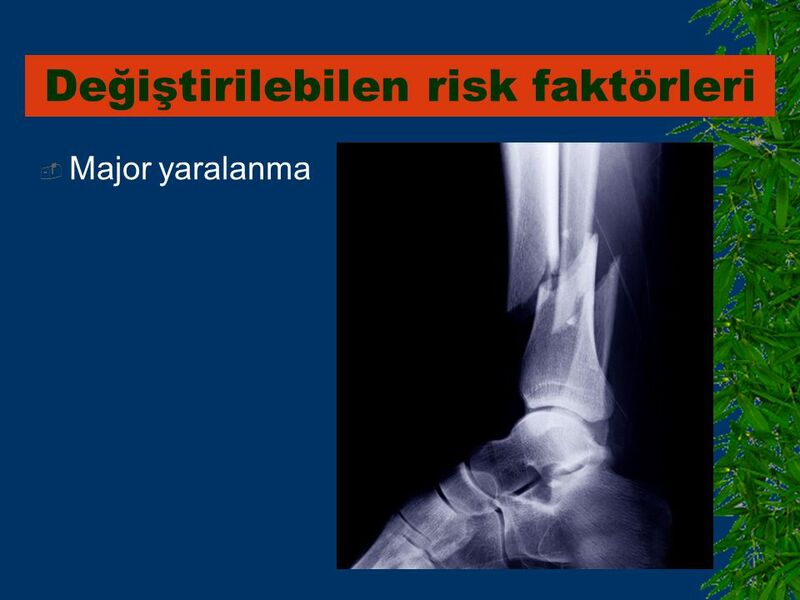 1 Dr.Sami HİZMETLİ CÜTF FTR A.B.D. 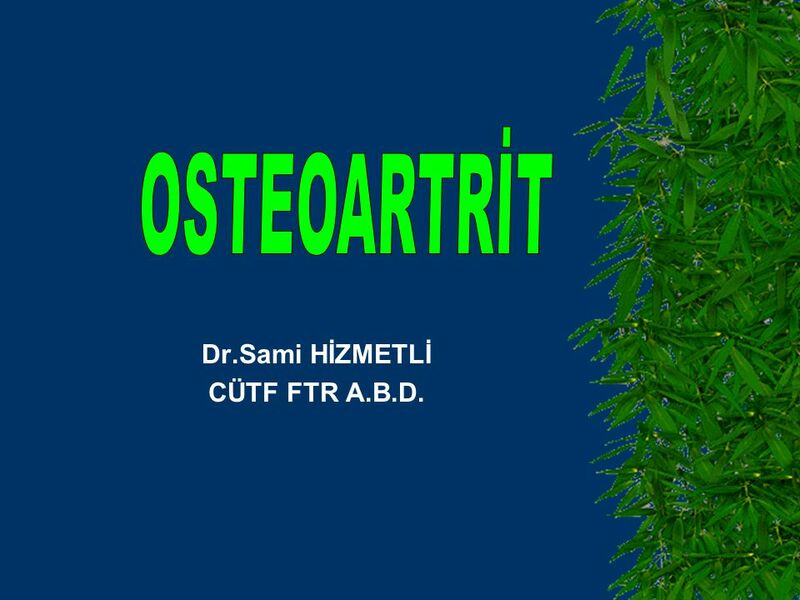 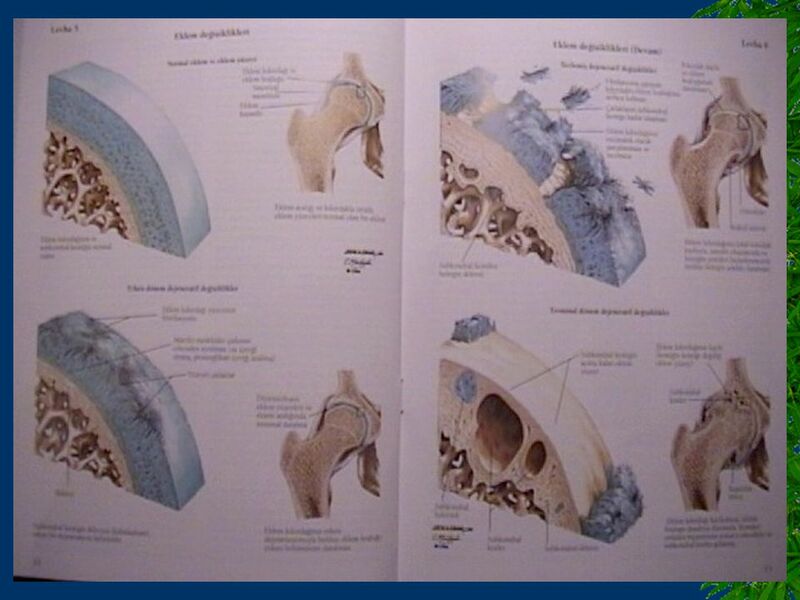 OSTEOARTRİT Dr.Sami HİZMETLİ CÜTF FTR A.B.D. 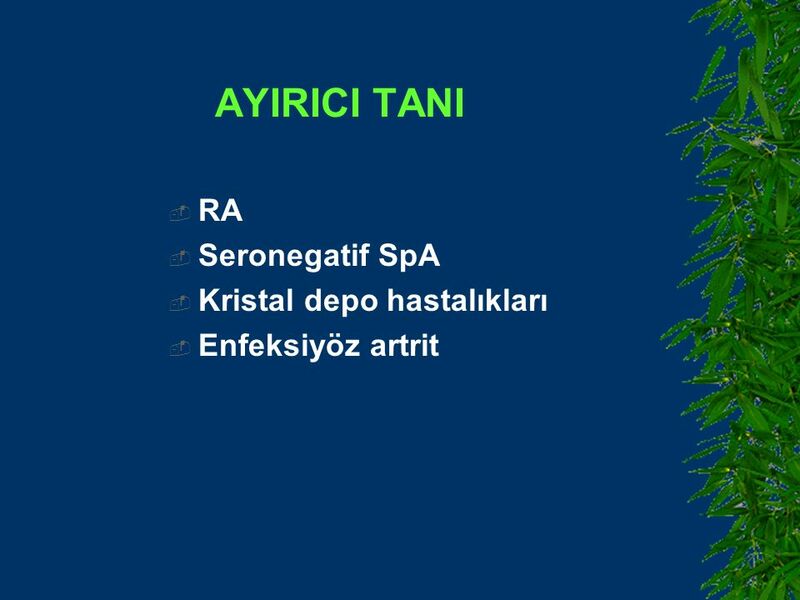 Kas zayıflığı Osteoarthritis of the knee is likely to develop, and more likely to progress, if the large muscles in the thigh, also known as the quadriceps, are weak. 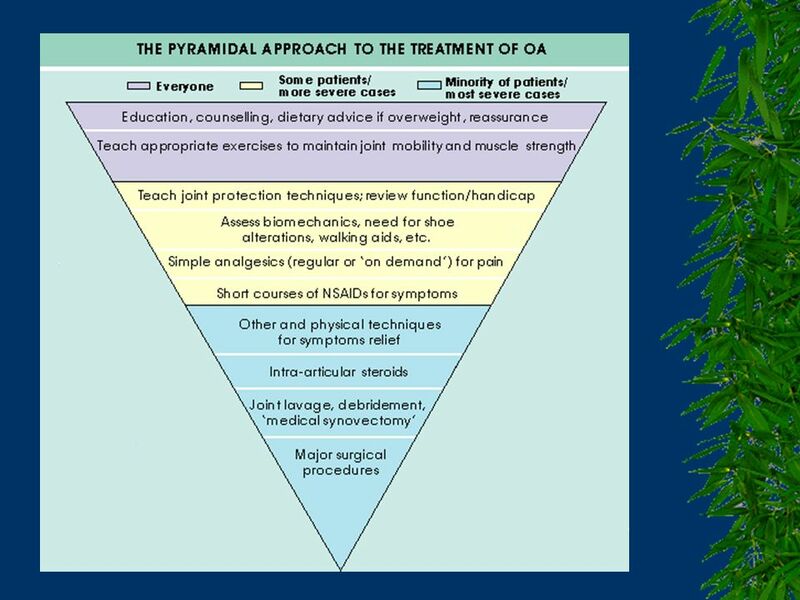 By working with your healthcare provider, you can establish an exercise program to keep your muscles strong and your joints stable. 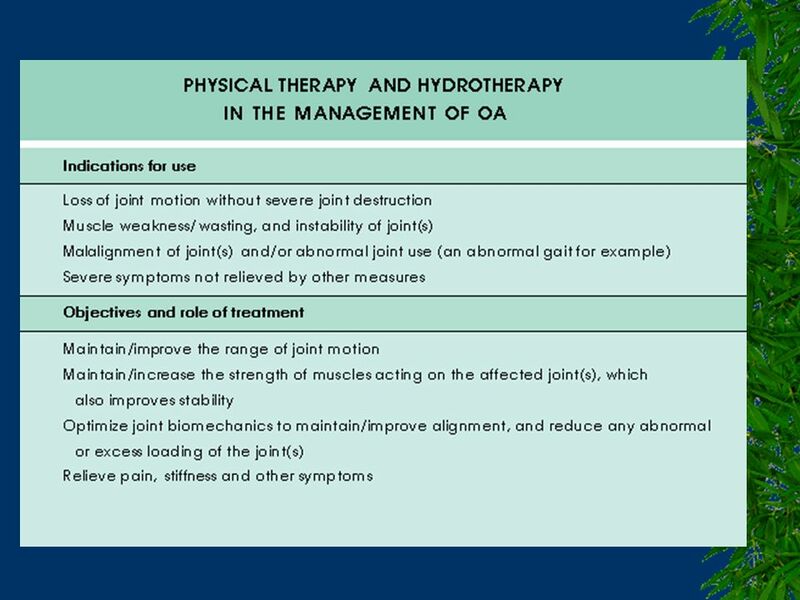 In the upcoming slides, we will discuss different types of exercise and how strong muscles and stable joints prevent osteoarthritis and minimize its progression. 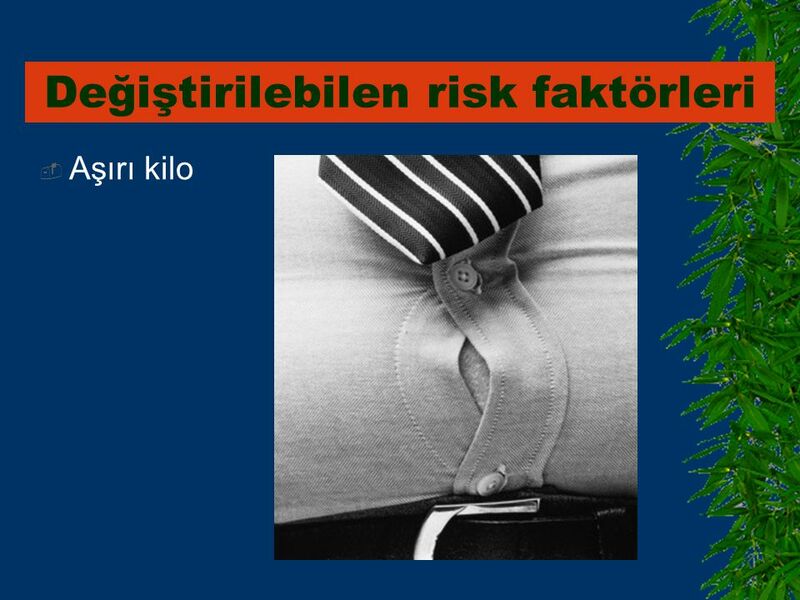 Aşırı kilo Being overweight or obese places extra stress on the weight-bearing joints of the body. 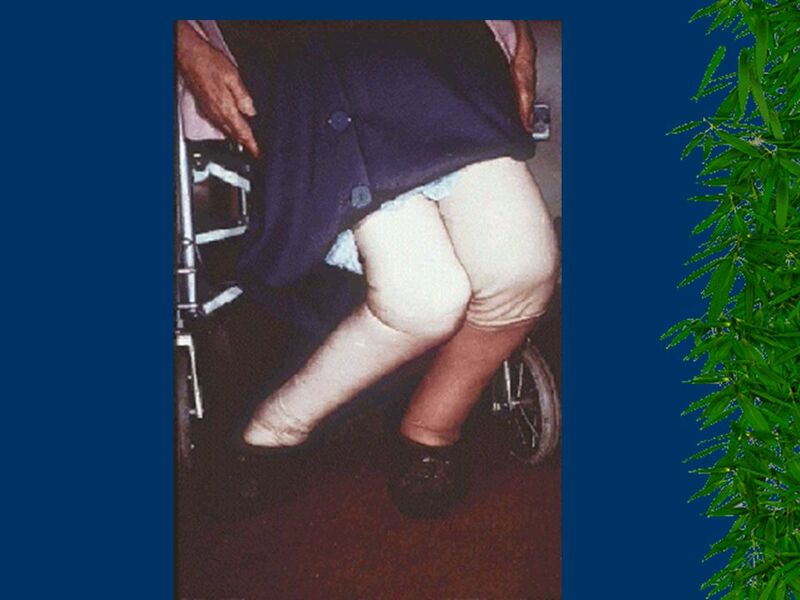 Aside from placing extra stress on the joints, obesity strains the heart, increases blood pressure and cholesterol, and increases the risk of developing diabetes. 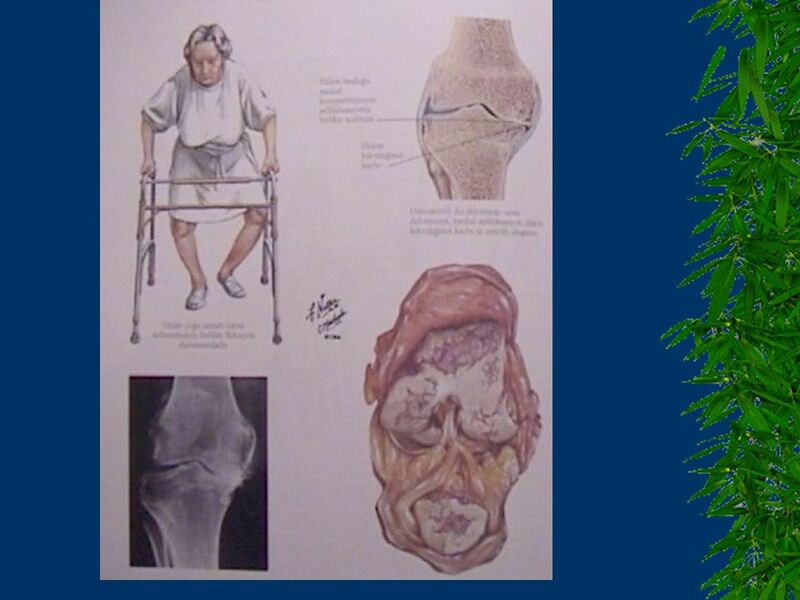 This is quickly becoming a major health problem in the United States and it is not an age-specific issue. 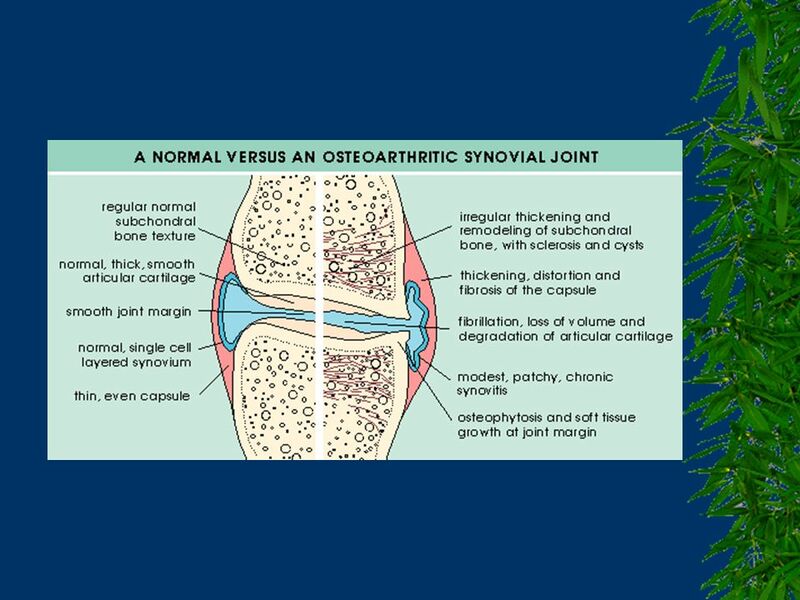 If you are overweight, especially during the middle or later years of life, the risk of developing osteoarthritis of the knee is increased. 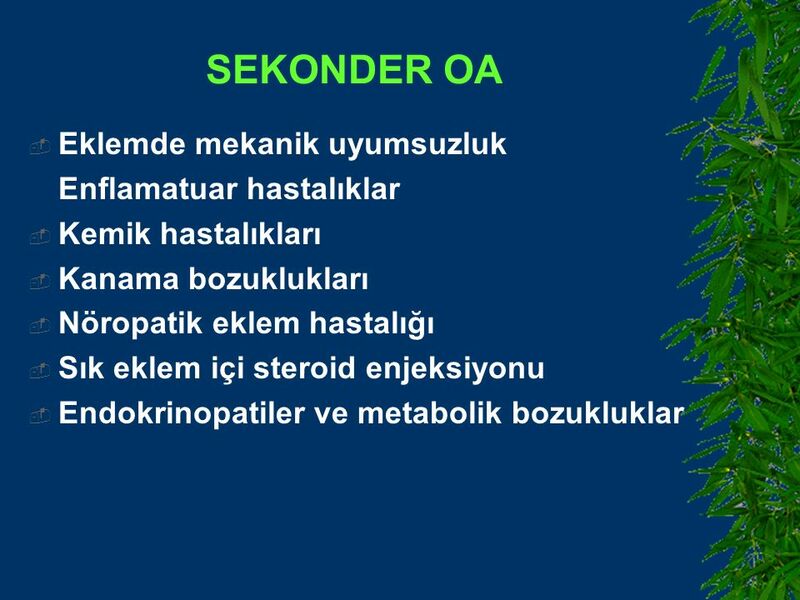 Also, the extra stress on the joints may cause increased pain in the affected joint, limiting your ability to exercise, and resulting in weaker muscles and more weight gain. 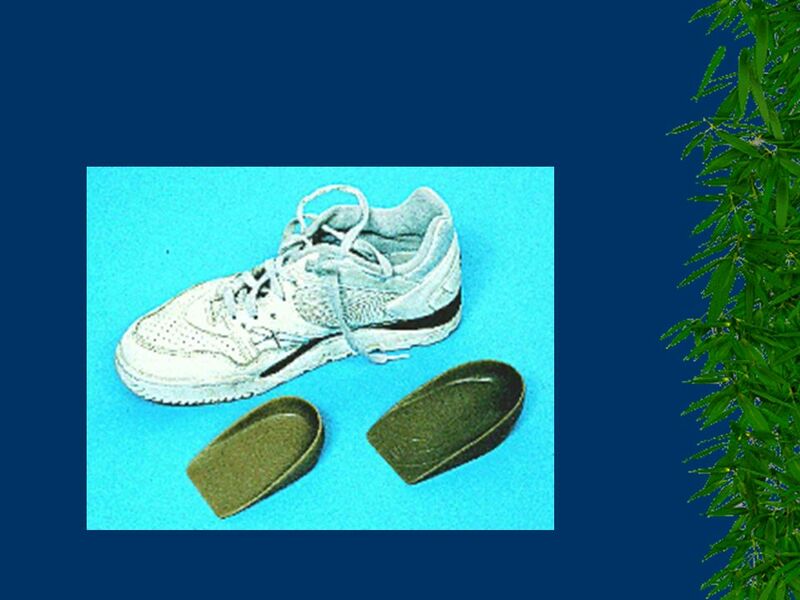 By working with your healthcare provider, you can establish a diet and exercise program to lose weight, if necessary. 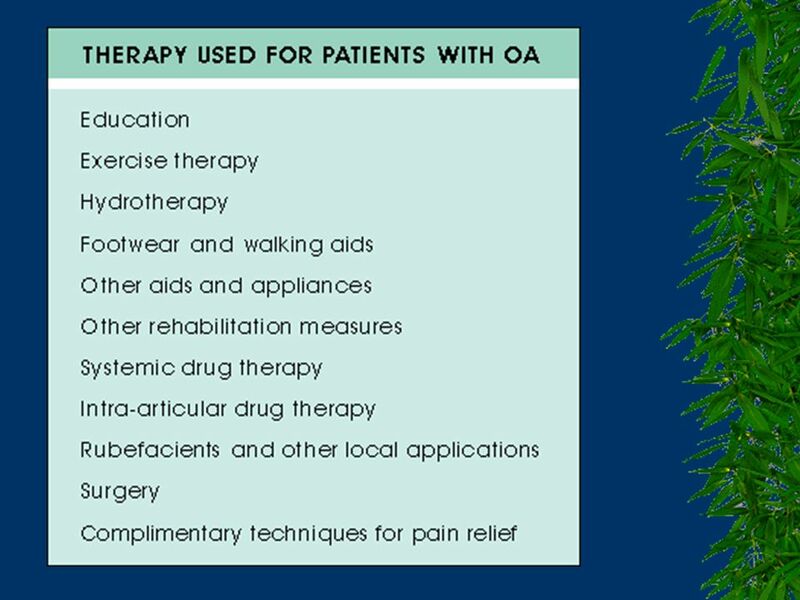 This may help to prevent osteoarthritis before it develops or to reduce some of the symptoms of osteoarthritis. 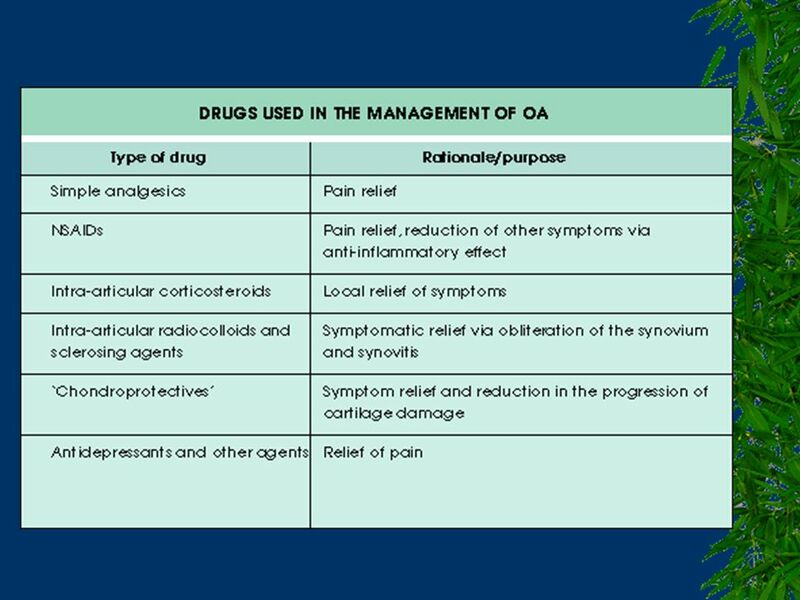 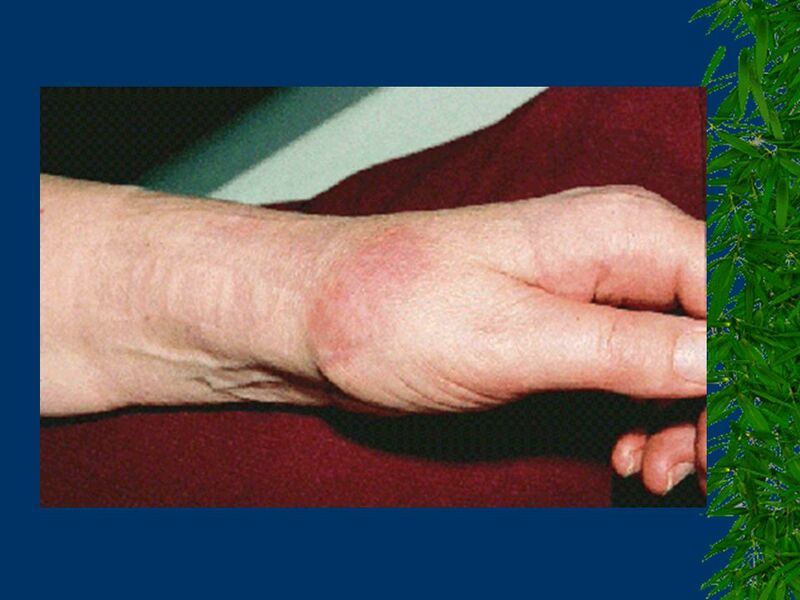 Major yaralanma Significant injury to the body, such as torn ligaments or fracture, can put affected joints at risk of osteoarthritis. 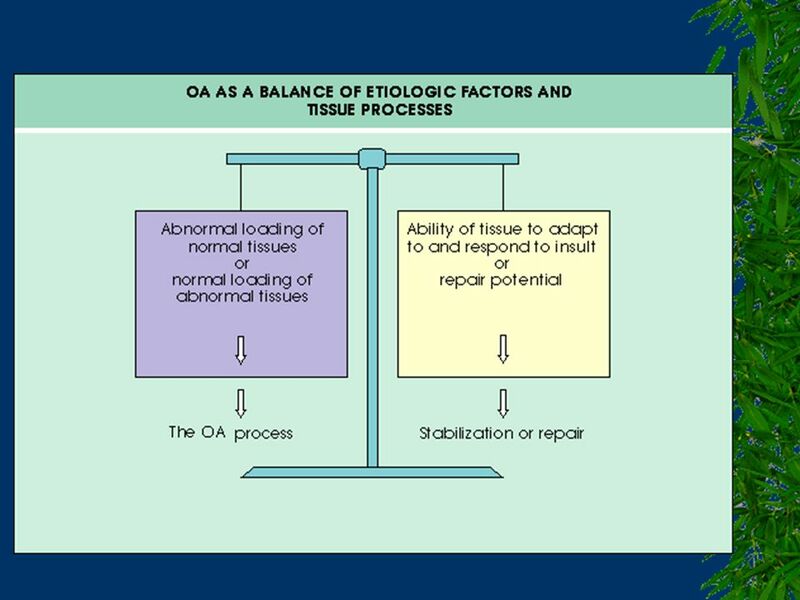 This is especially true for injuries involving the knee or the hip. 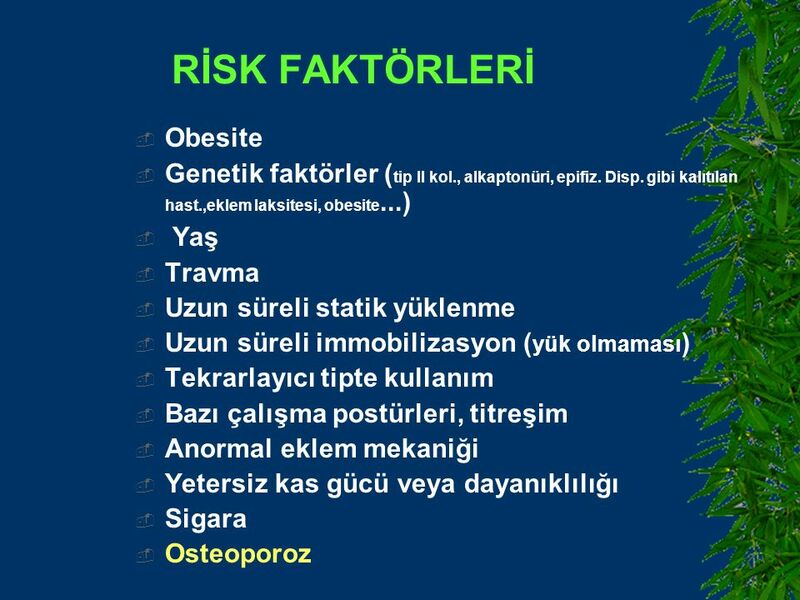 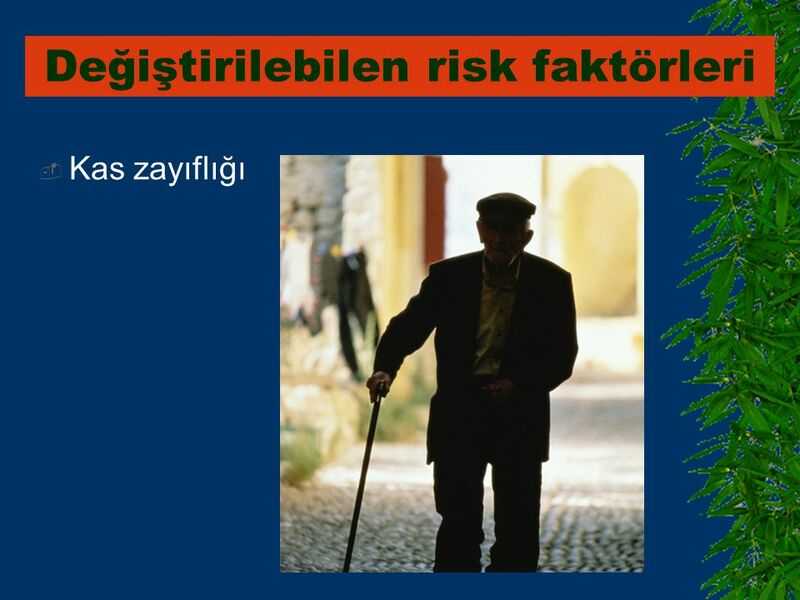 Eklemlerin aşırı kullanımı Other risk factors for osteoarthritis can be changed. 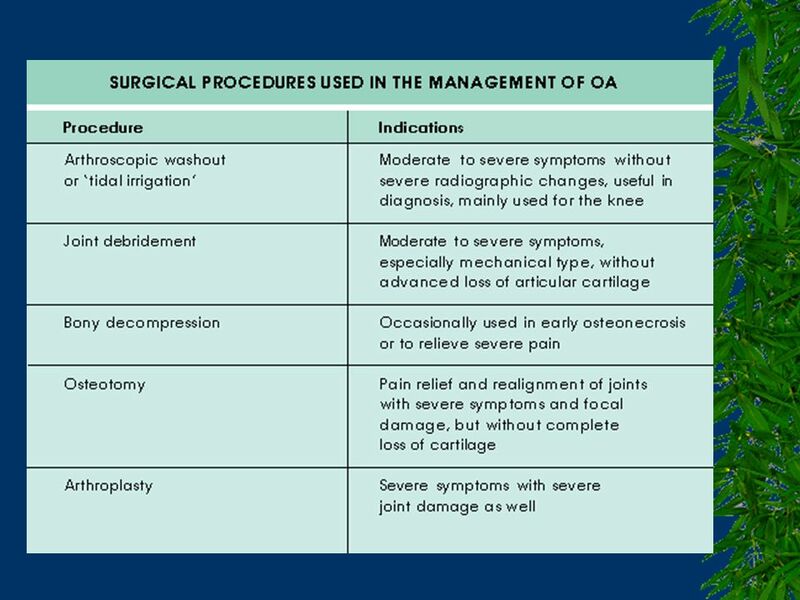 In many cases you can lower your risk for developing osteoarthritis by avoiding or making improvements in these factors. 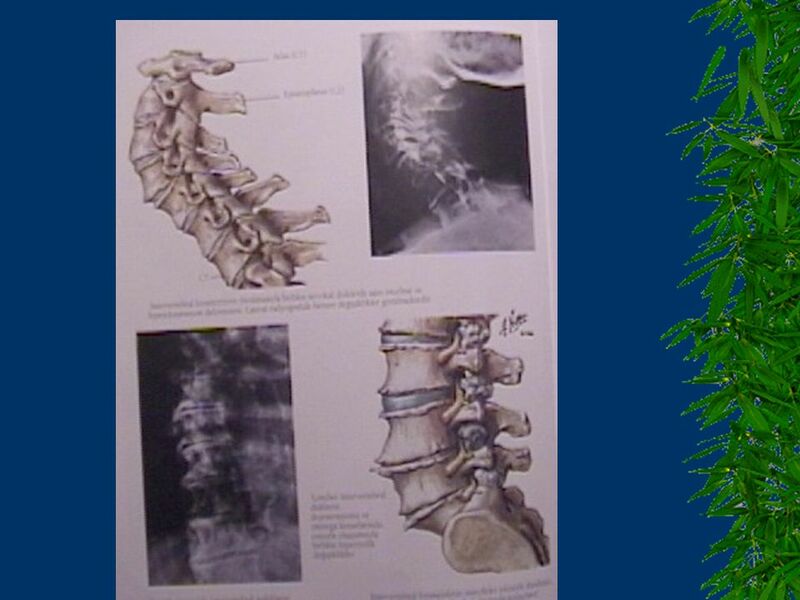 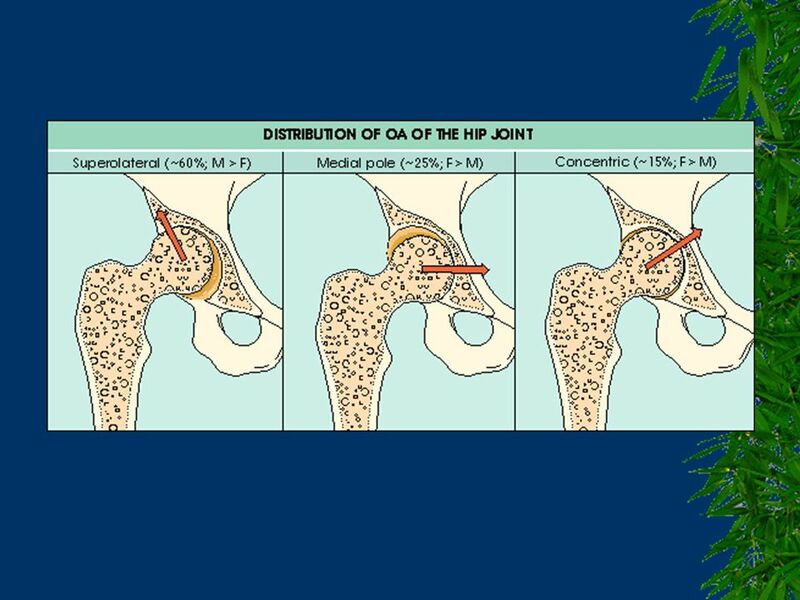 One risk factor that can be changed is overuse of the joint. 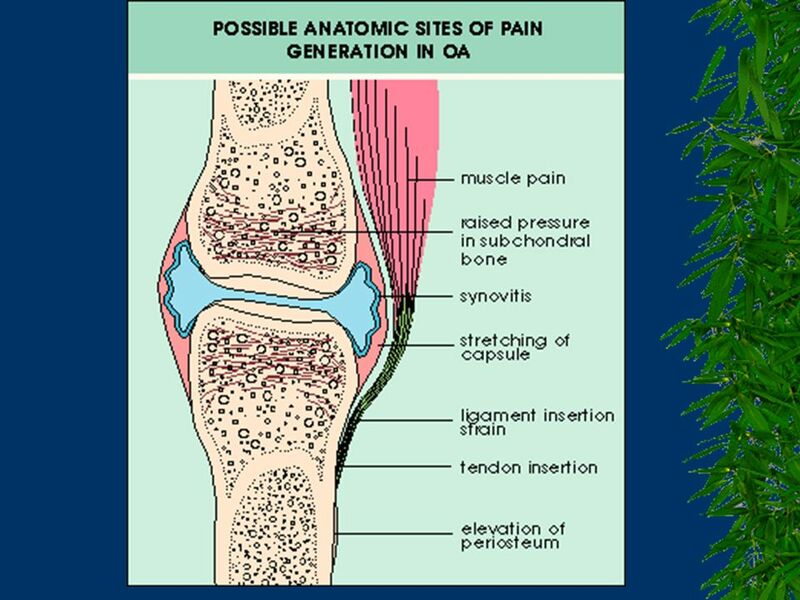 Constant, repetitive use of the joints can increase the chances of developing osteoarthritis. 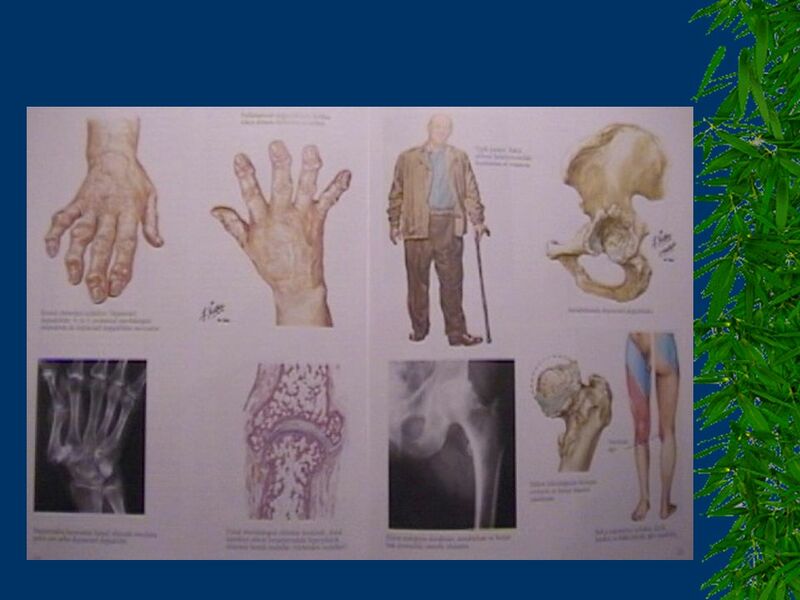 For example, certain work environments can lead to an increased chance of having osteoarthritis. 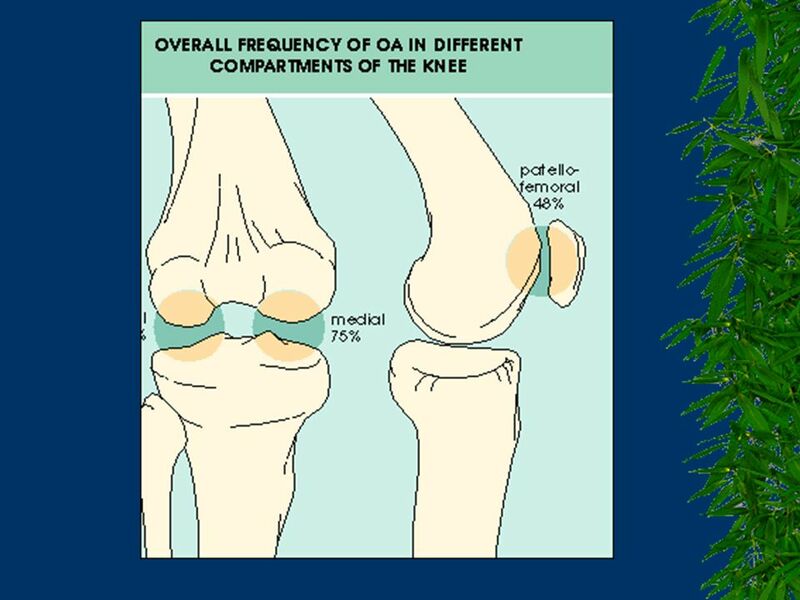 Construction workers have been found to have increased chances of developing osteoarthritis of the knee or the hip. 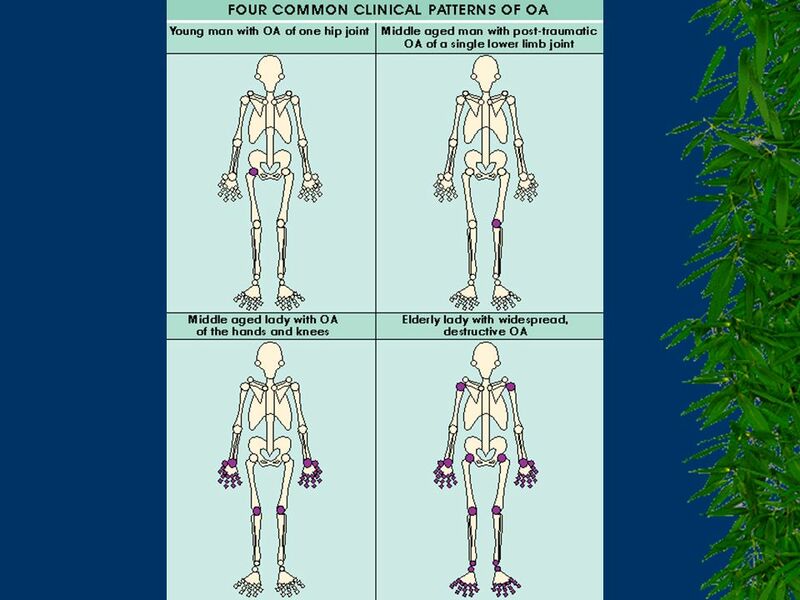 Also, repeated heavy lifting can lead to the development of osteoarthritis. 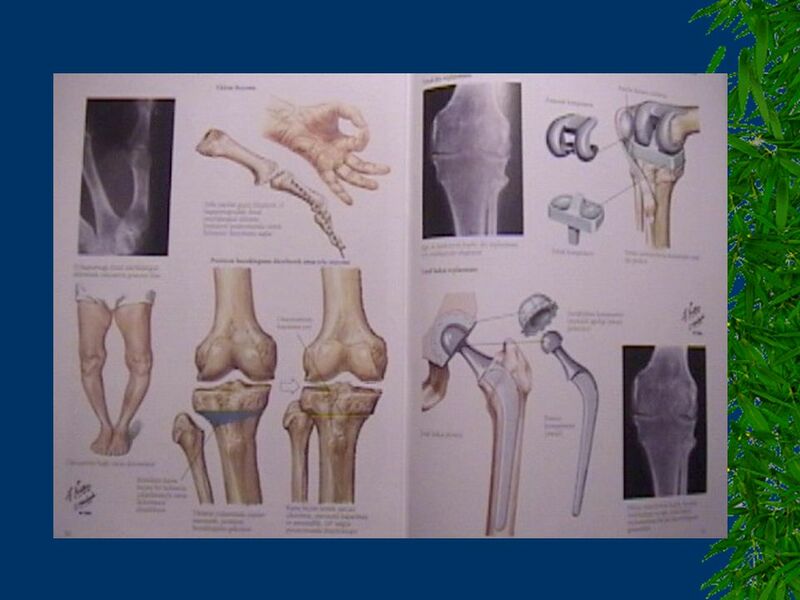 With awareness, you can change the way you do things to prevent overuse of your joints. 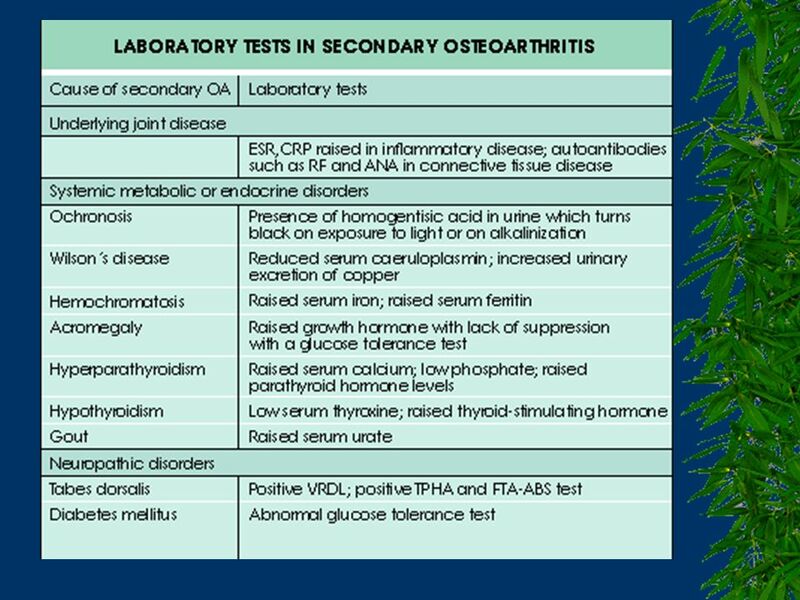 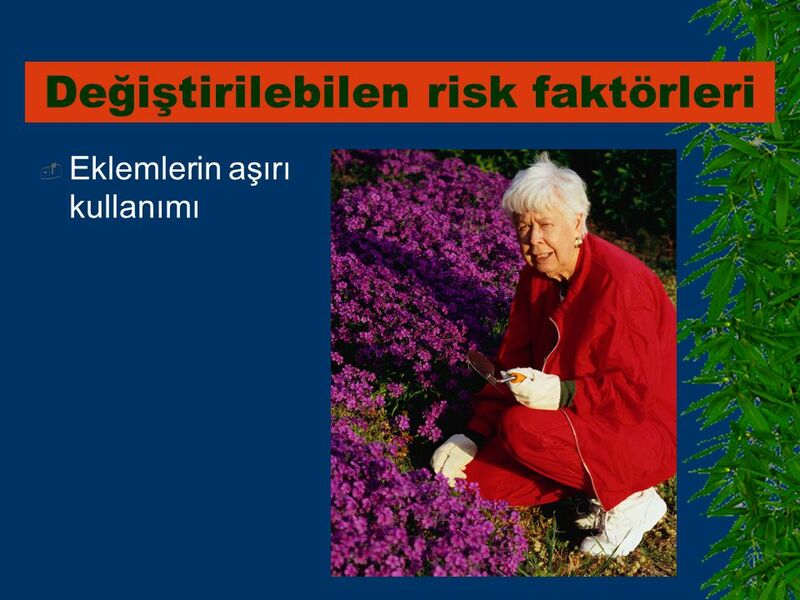 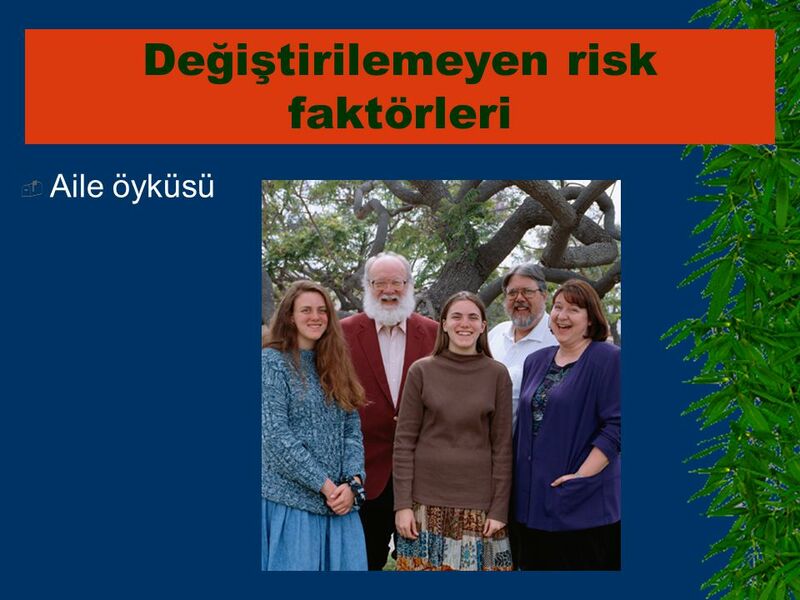 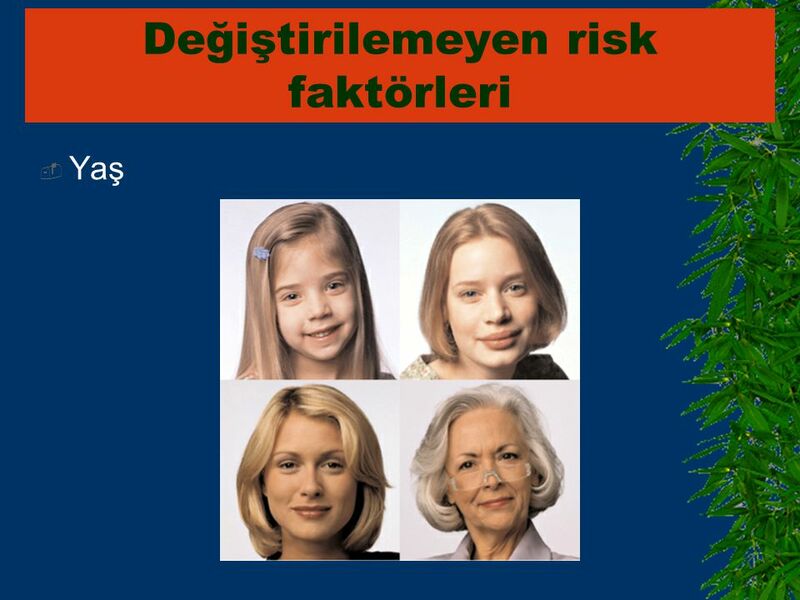 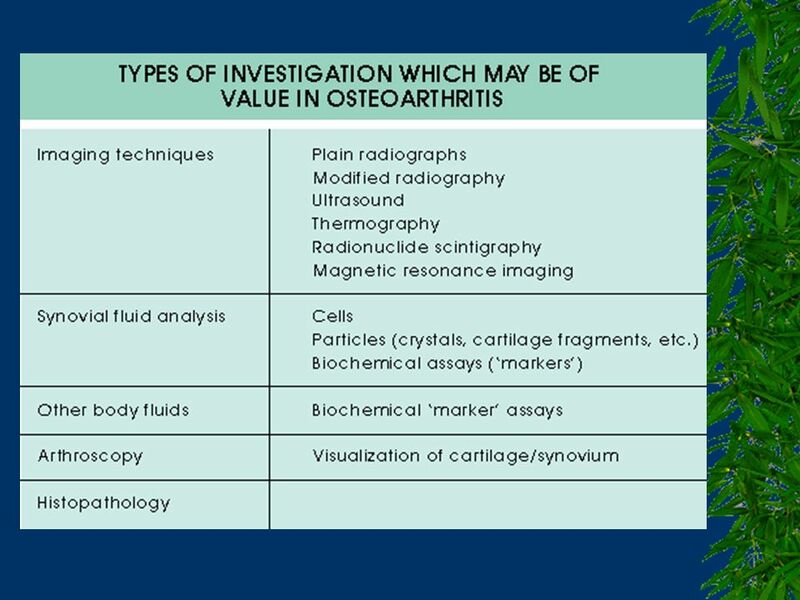 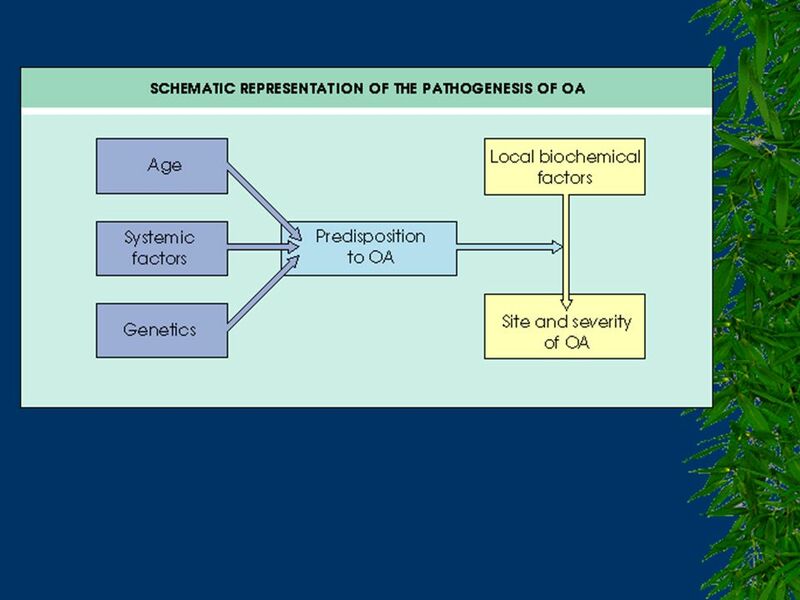 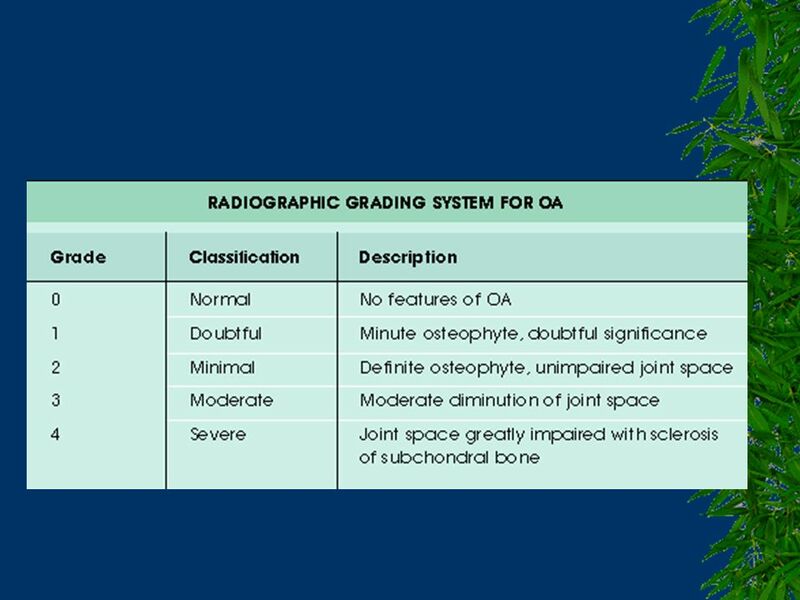 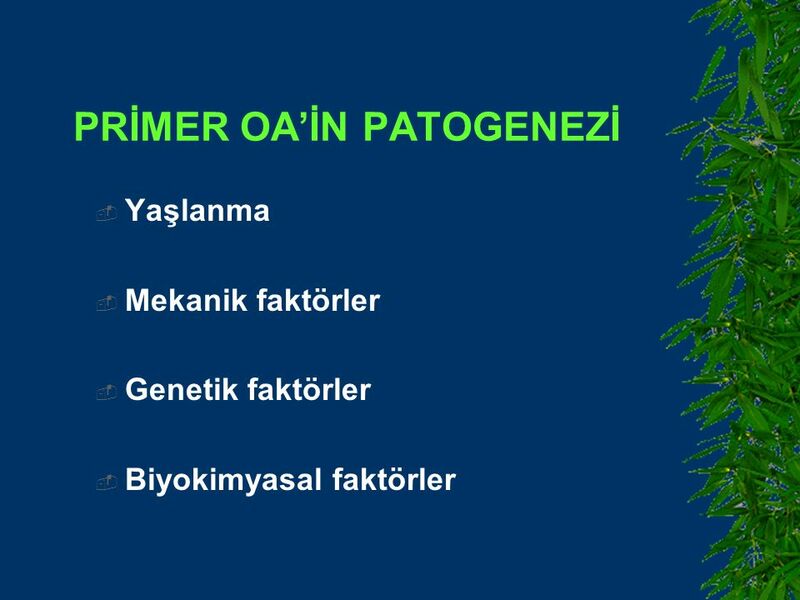 Aile öyküsü Several of the currently identified risk factors for osteoarthritis cannot be changed. 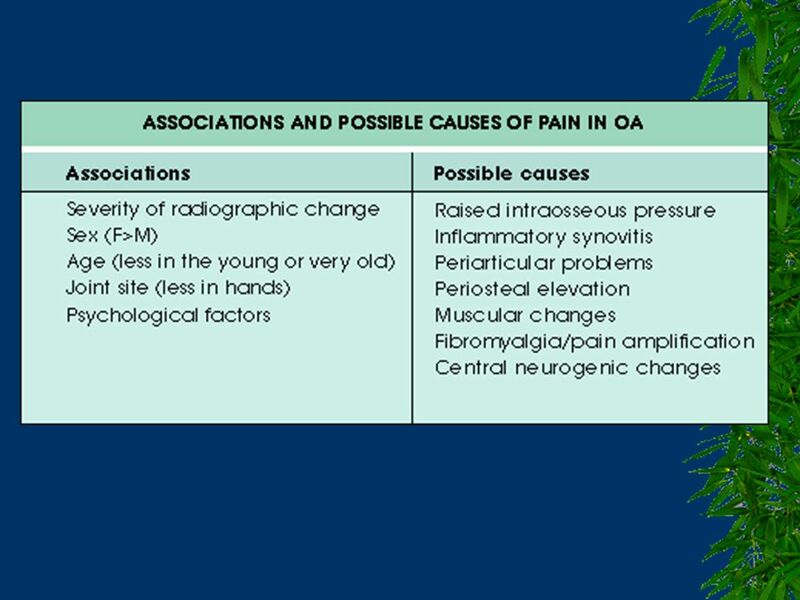 One unchangeable risk factor for osteoarthritis is having a family history. 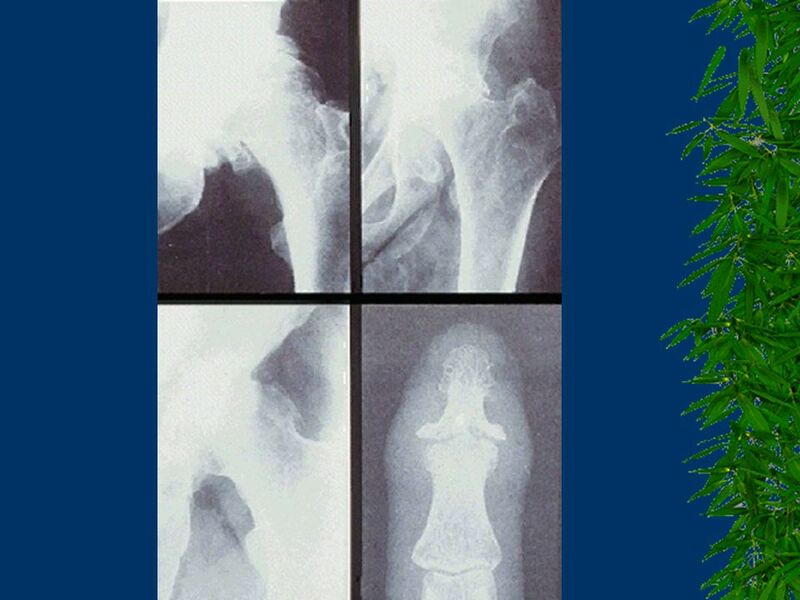 For example, if your mother, father, brother or sister has had osteoarthritis, you are more likely than someone without a family history to get osteoarthritis. 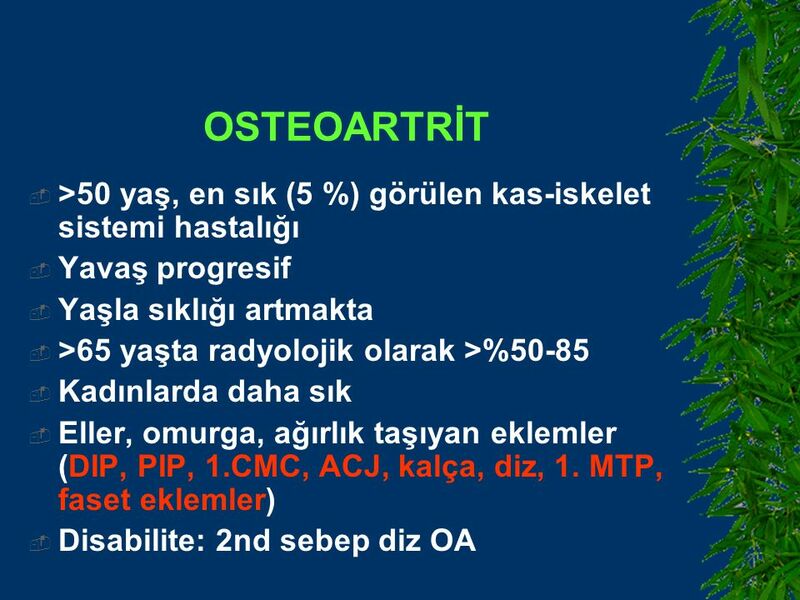 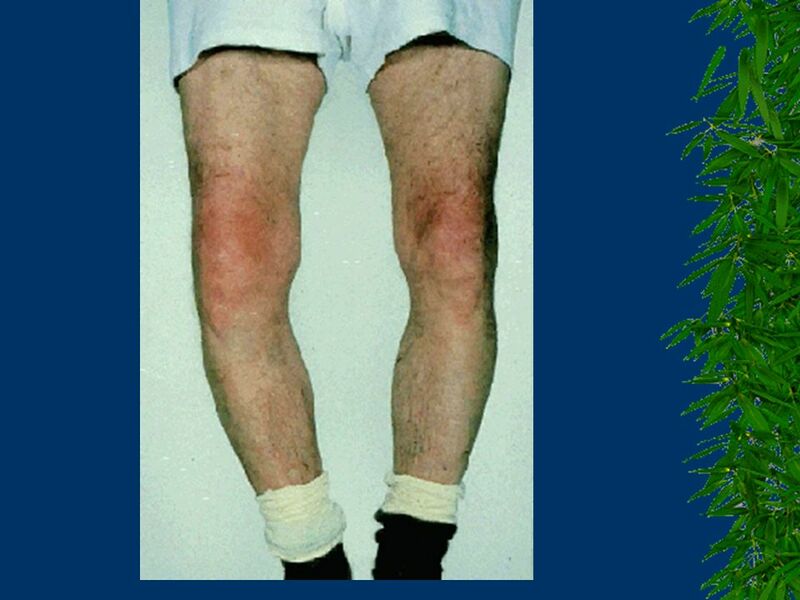 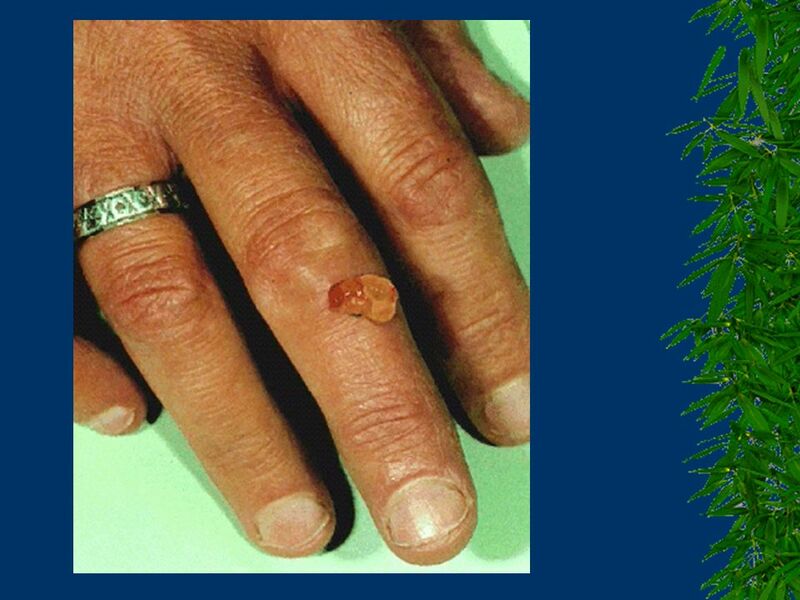 Yaş Increasing age is another known risk factor for osteoarthritis that cannot be changed. 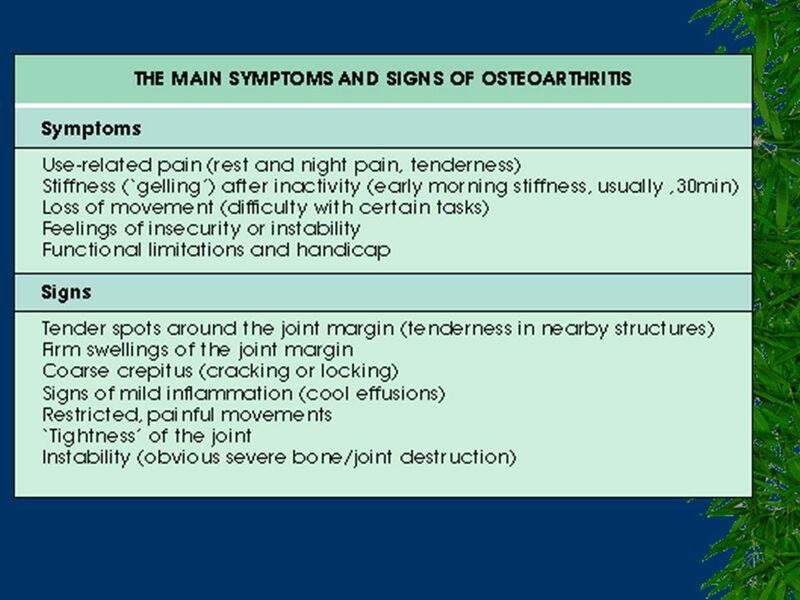 As you age, your risk of developing osteoarthritis increases. 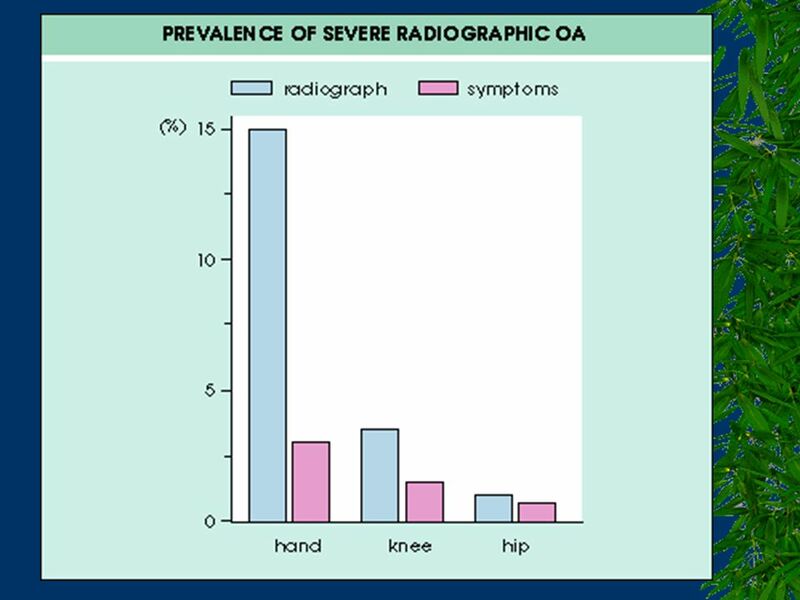 Only 7% of adults aged 18 through 44 have arthritis, while this disease affects half (51%) of adults aged 75 and over. 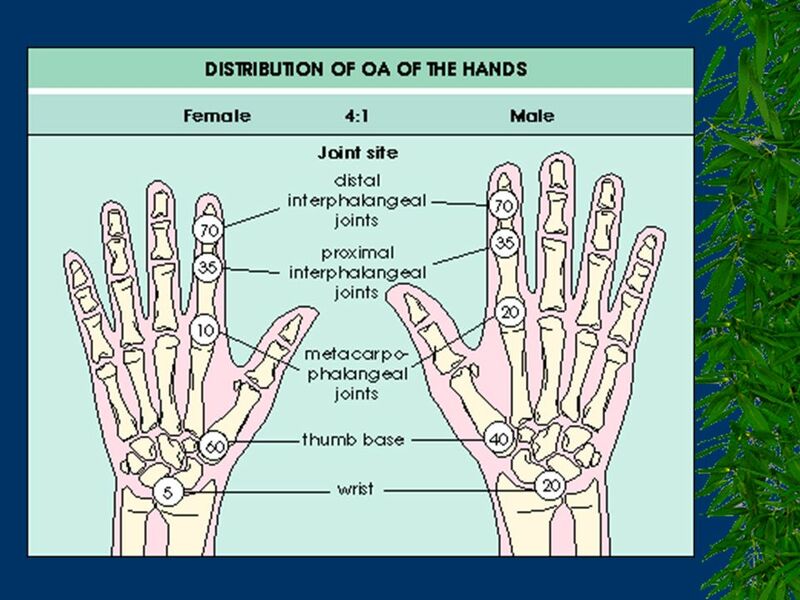 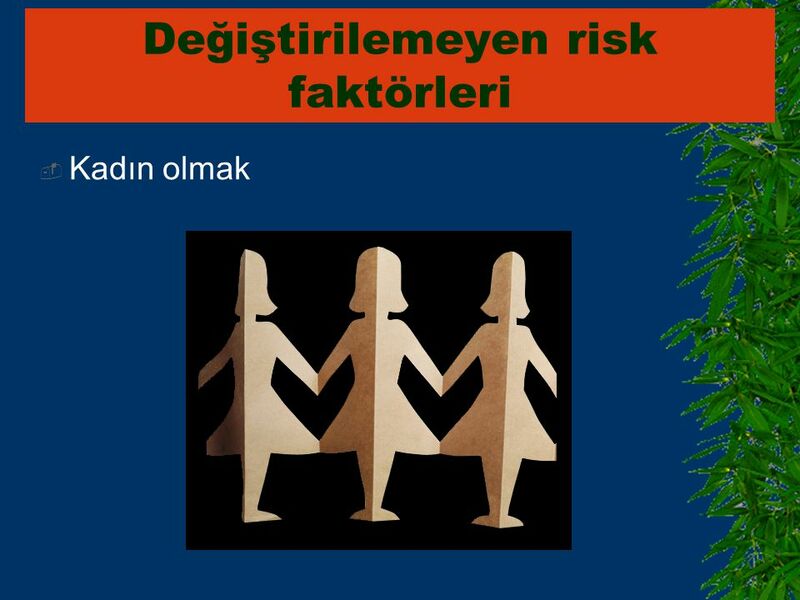 Kadın olmak Women are more likely to develop osteoarthritis than men. 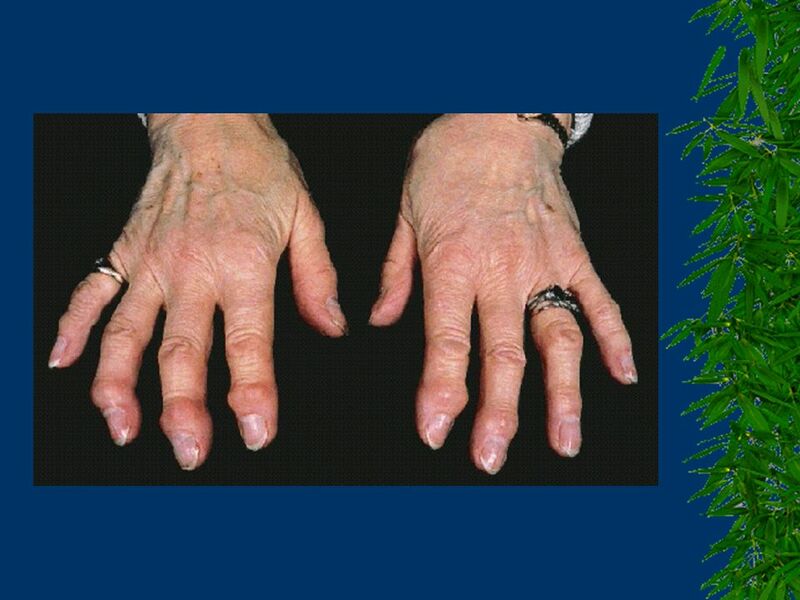 1 in 2 older women have arthritis (53%), while about 4 out of 10 older men (37%) have this disease. 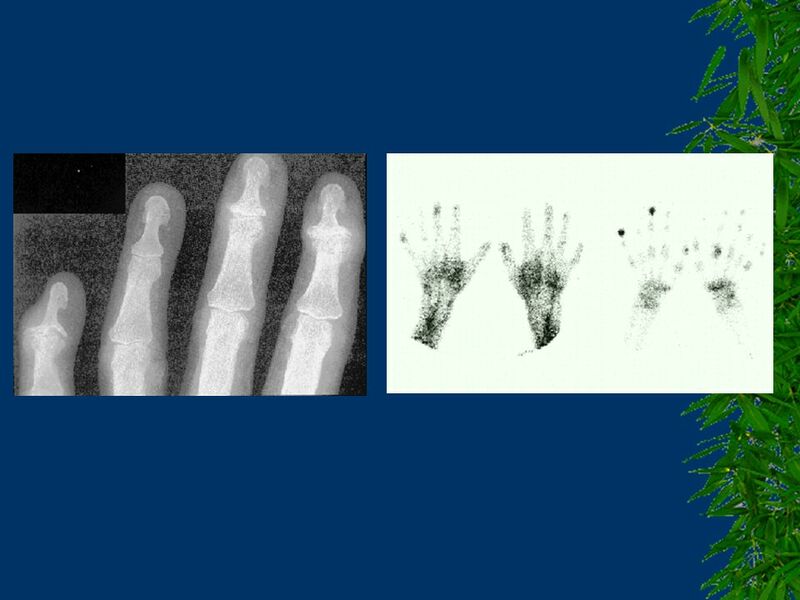 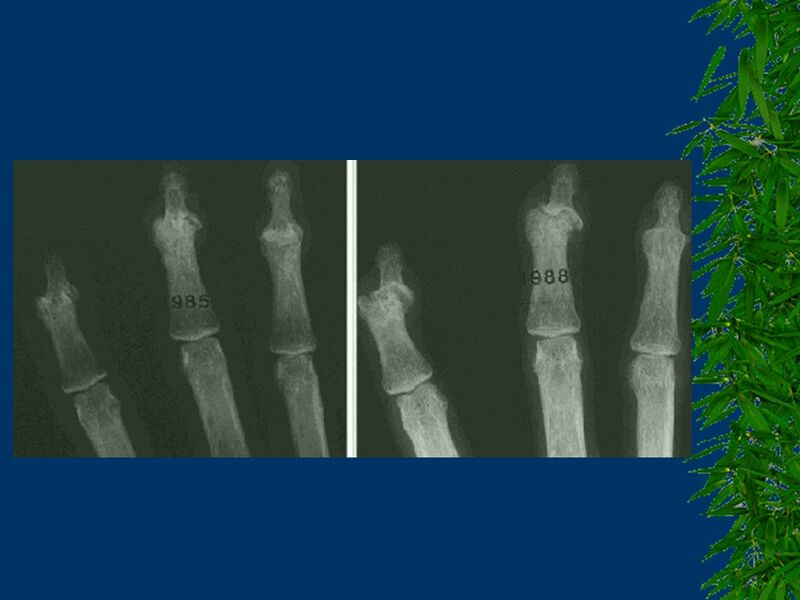 28 El; DIP, PIP, 1.CMC, kare el, k>e, nodlar çok hassas olmayabilir, radiodense olmayabilir. 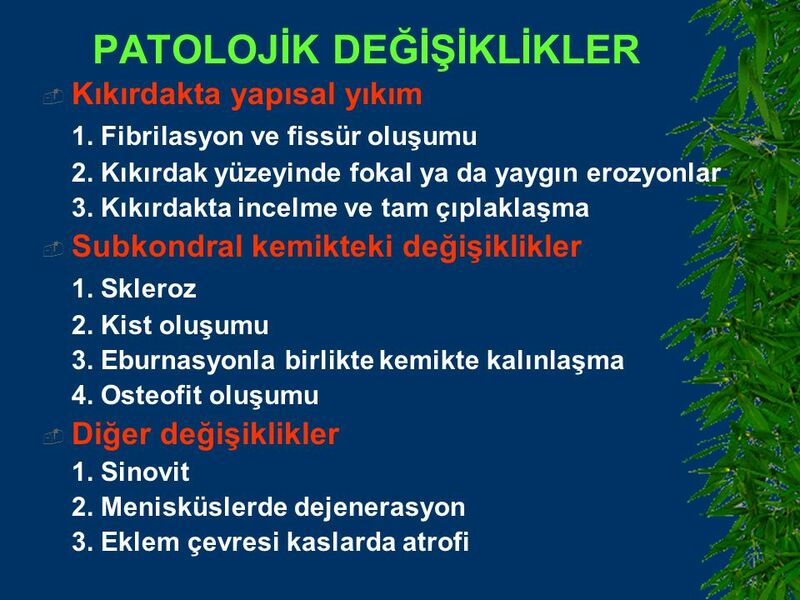 Kalça; e>k, daha yaşlı, unilateral, w/i 8 yıl diğer kalça, iç rot. 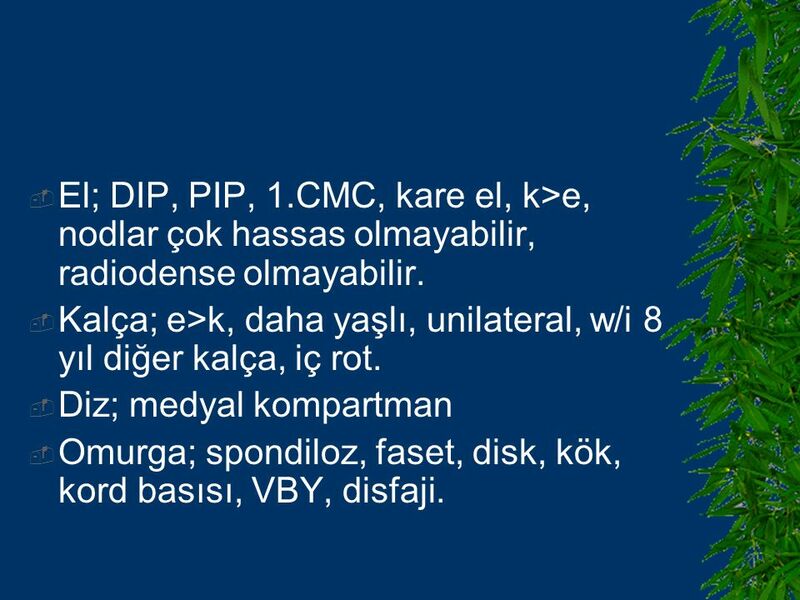 Diz; medyal kompartman Omurga; spondiloz, faset, disk, kök, kord basısı, VBY, disfaji. 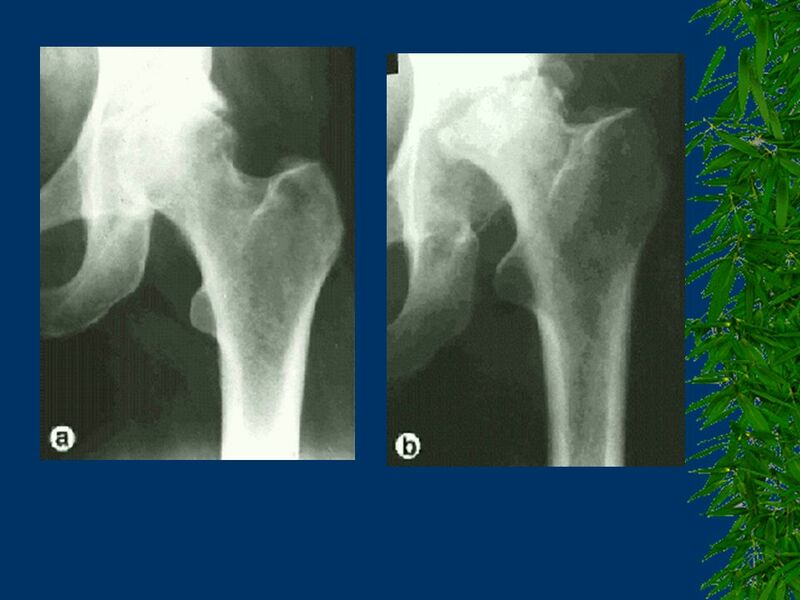 38 Femoral heads in OA. 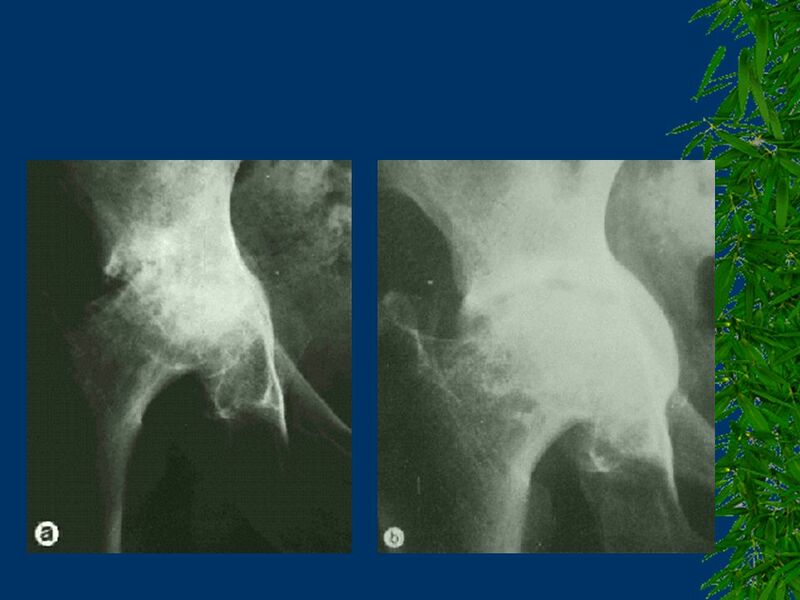 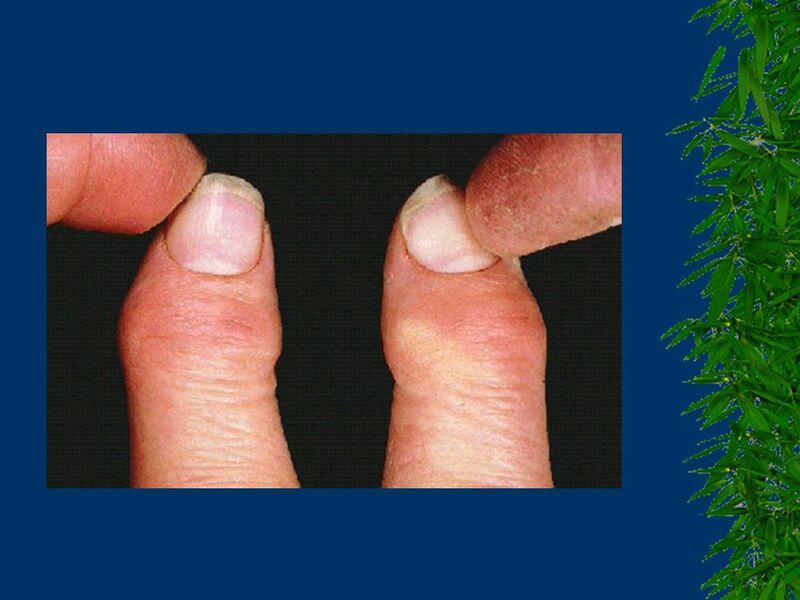 Early osteoarthritic change with an area of cartilage loss in the center is seen on the left. 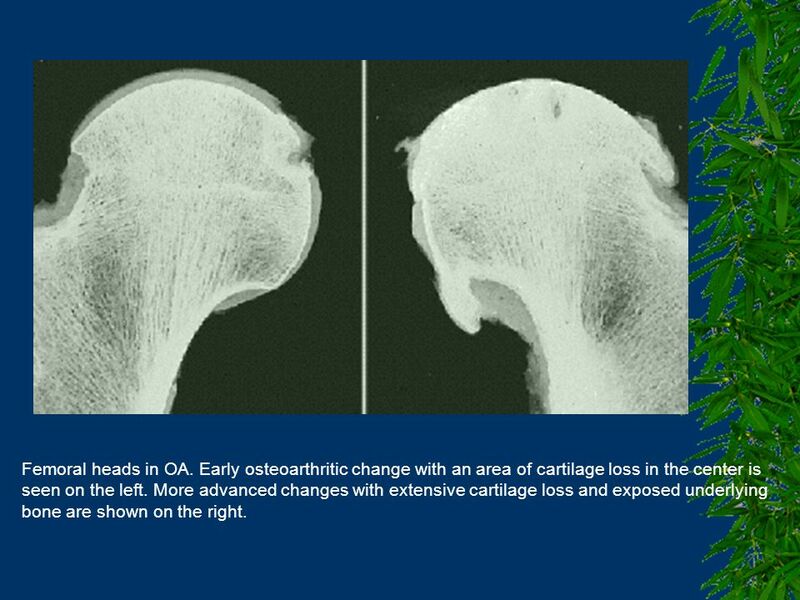 More advanced changes with extensive cartilage loss and exposed underlying bone are shown on the right. 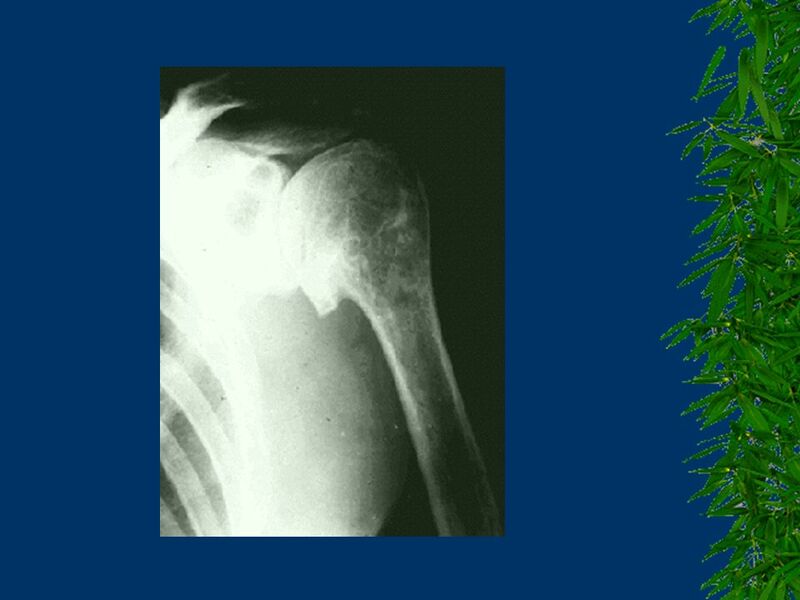 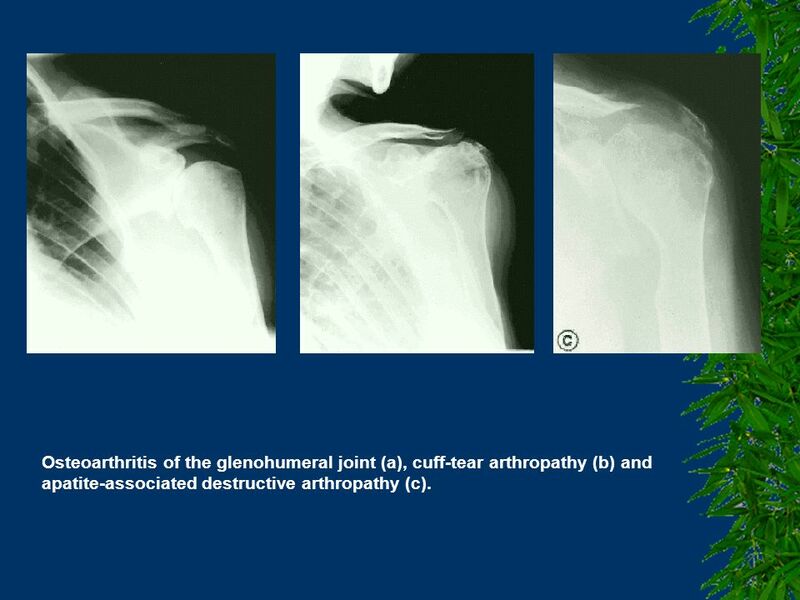 43 Osteoarthritis of the glenohumeral joint (a), cuff-tear arthropathy (b) and apatite-associated destructive arthropathy (c). 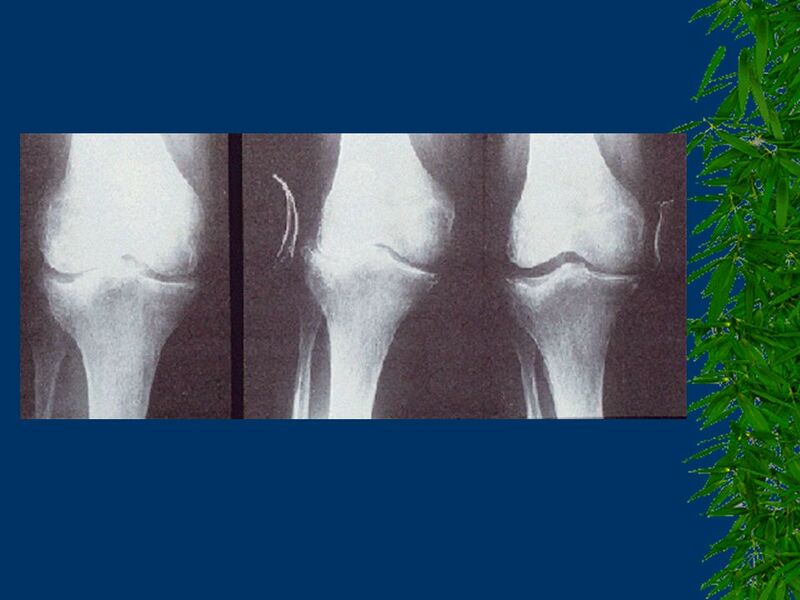 MRI of a knee joint with medial compartment OA. 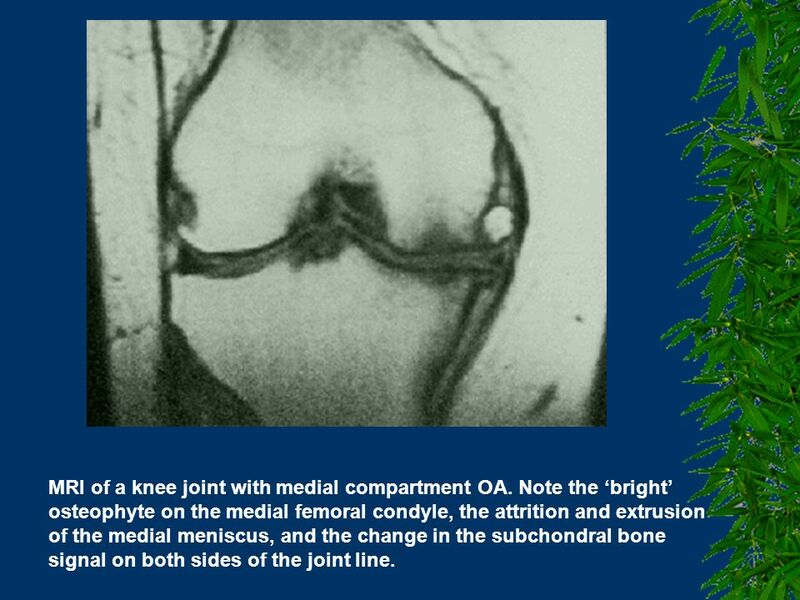 Note the ‘bright’ osteophyte on the medial femoral condyle, the attrition and extrusion of the medial meniscus, and the change in the subchondral bone signal on both sides of the joint line. 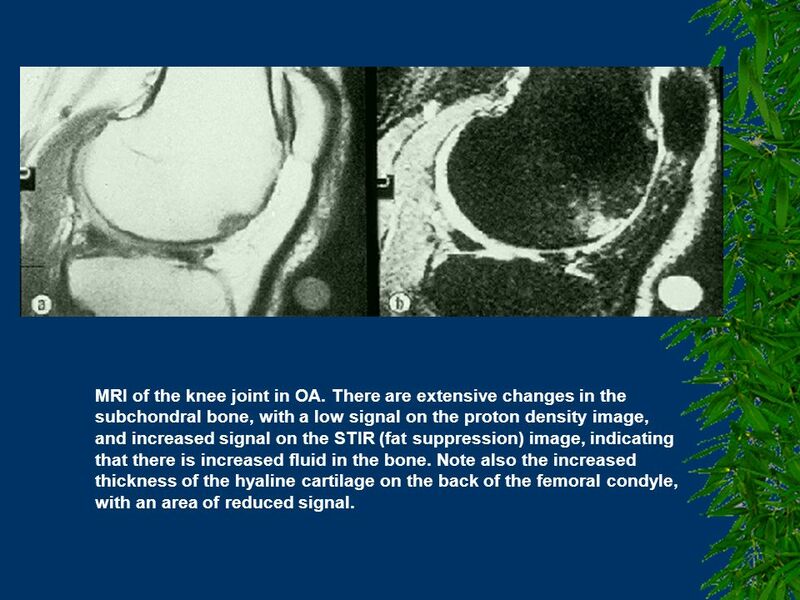 MRI of the knee joint in OA. 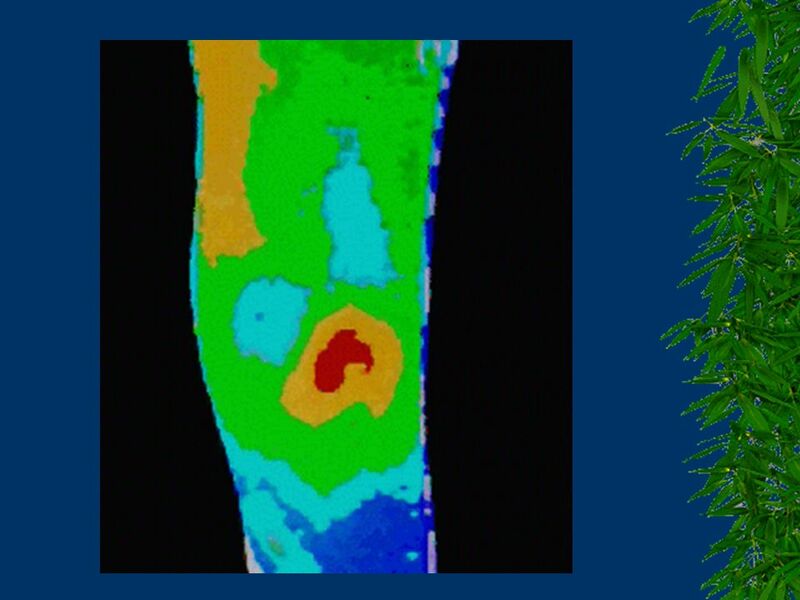 There are extensive changes in the subchondral bone, with a low signal on the proton density image, and increased signal on the STIR (fat suppression) image, indicating that there is increased fluid in the bone. 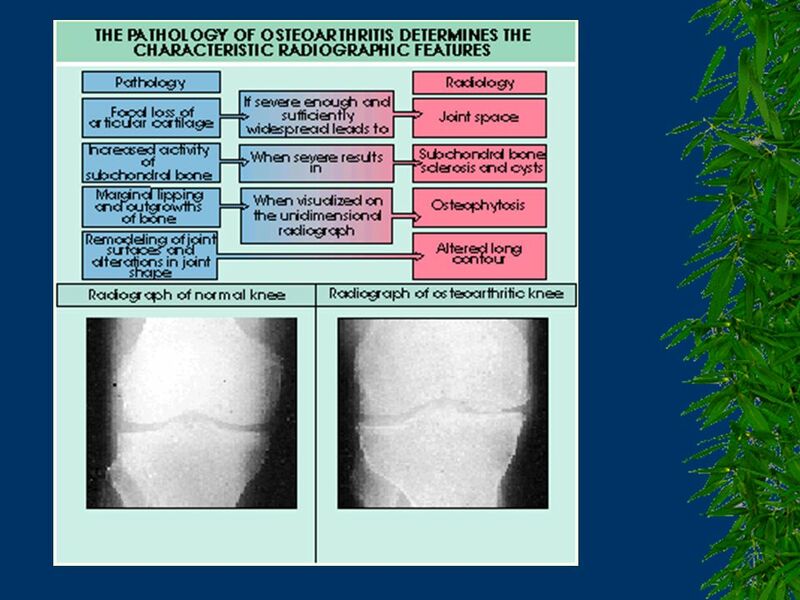 Note also the increased thickness of the hyaline cartilage on the back of the femoral condyle, with an area of reduced signal. 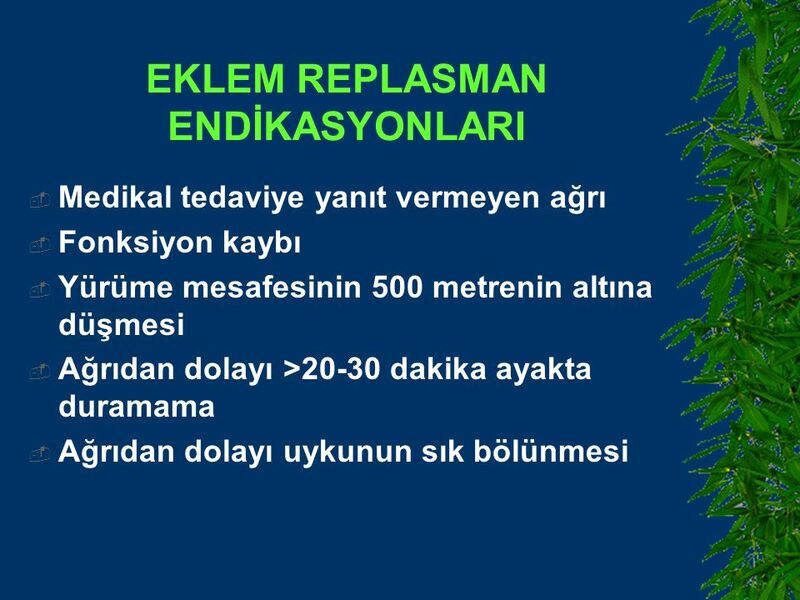 TOTAL DİZ ARTROPLASTİSİ UYGULANAN HASTALARDA PREOPERATİF PROPRİOSEPSİYON EĞİTİMİ.